Lock in a great price for Ananta Bungalow – rated 9.1 by recent guests! Breakfast pancakes were amazing! And Butu was so sweet and such a good host. She really makes you feel comfortable and is always around to help with anything you need. 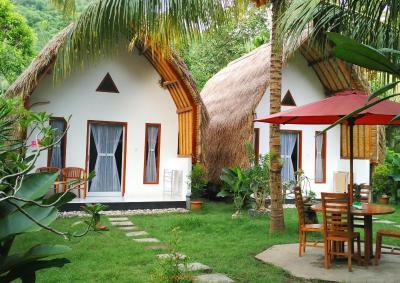 The bungalows are really cute and comfortable. Would stay again! Lovely host - Very sweet and helpful. Close to crystal beach. Very responsive and kind owners whom helped me a lot with arranging transport and tour. The accommodation is located walking distance from crystal bay in a tranquil, yet rural environment, safe for walking at night. I was able to walk to beach in morning and directly book a snorkeling trip without having to go through an agency. Location is excellent! The owner is a lovely person, keen to help out. Hot water all day long; the bed was very comfy. 3 min drive to the nice beach. They also provide an access to the pool in the neighbor's bungalows. So clean! Everything was so clean and well kept. Putu was so nice and kind, she really is tue perfect host and makes you Feel at home. Crystal Bay is very close by (walking distance). They offer scooter rental service and also arange tours for you. Host was extremely nice and helpful, and provided with very tasty self-made breakfast. Also, the bed was really comfortable, and shower (unexpectedly) had hot water - which was appreciated. Check-in was easy. The owner is very kind and speaks good English. She is also easily accessible as she lives next door. I got a coconut upon arrival as she showed me places of interest on a map. The location is a bit far from some attractions, but the owner had a motor bike that she let me rent. Crystal Bay is very close and the perfect place to enjoy sunset. Breakfast was very good. The power on that part of the island went out one night for a bit and the owner was gracious enough to bring me a lamp so that I wouldn't have to shower in the dark. I would highly recommend staying here. Location is right next to a local village, what makes you see chickens and cats walking around. Also cows and pigs on the way to the beach. The area around is one of the most beautiful I’ve seen on the is island. One of our best sellers in Nusa Penida! 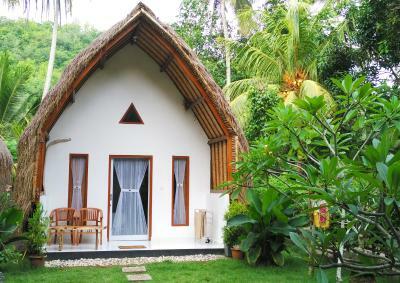 Located in Nusa Penida, 9 miles from Seganing Waterfall, Ananta Bungalow has a garden and a terrace. 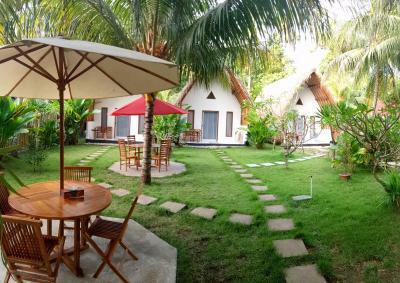 The property is around 22 miles from Pulau Seribu Viewpoint, 5 miles from Gamat Bay and 7 miles from Dalem Penataran Ped Temple. Local points of interest like Puncak Mundi Temple and Turtle Beach are reachable within 8 miles and 9 miles, respectively. 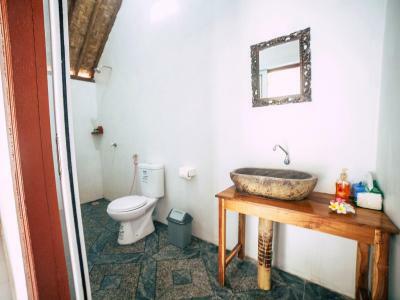 Featuring a private bathroom, rooms at the guesthouse also provide guests with free WiFi, while selected rooms also feature a garden view. 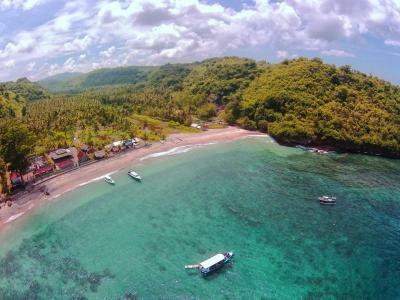 Kelingking Beach is 9 miles from Ananta Bungalow. 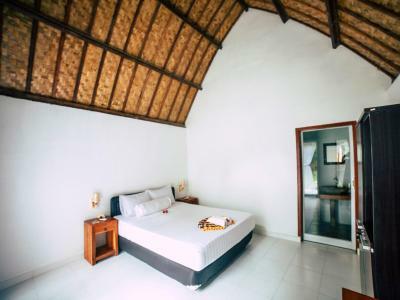 The nearest airport is Ngurah Rai International Airport, 54 miles from the property. 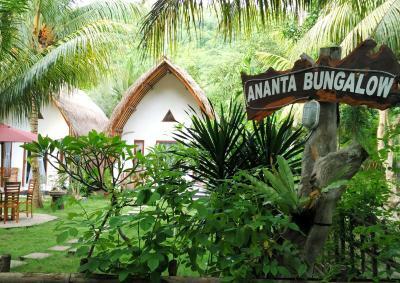 When would you like to stay at Ananta Bungalow? This bungalow has air conditioning, tile/marble floor and garden view. This bungalow features a tile/marble floor, air conditioning and private entrance. 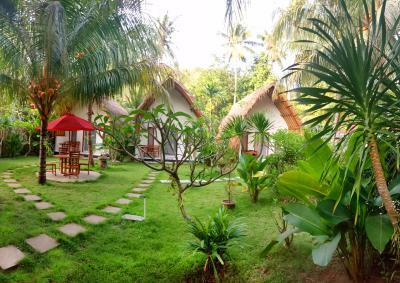 House Rules Ananta Bungalow takes special requests – add in the next step! 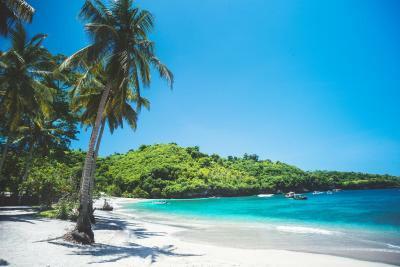 Easy access to Crystal Bay, where snorkelling trips could be arranged or simply enjoy the corals and fishes off the bay. Clean and adequate facilities, all the basics are provided. Breakfast was tasty! All round efficient and very friendly services. Super good location and kind & helpful staff. Breakfast was cooked in their own kitchen for us each morning giving it a very homely feel. Crystal bay is very close by, which was great for snorkeling! The staff were lovely and more than accommodating for anything you needed! And a really yummy breakfast was made for us! None. But the conditions of the roads reaching Crystal Bay are disastrous. Nothing the property owner can fix. 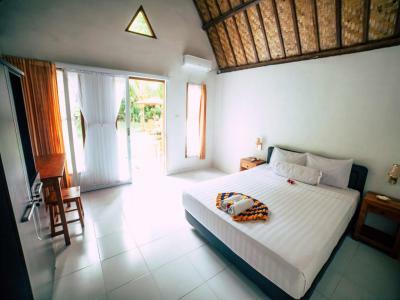 Clean room, functional facilities, beautiful garden, mosquito net (just in case), attention of Putu the owner. Vicinity to the nice Crystal Bay beach. Room had no ventilation at all. AC cooling was not sufficient - No fan to compensate. Very friendly staff, amazing breakfast and beautiful location. Walking distance from crystal bay so perfect for snorkeling adventures. About a 10min drive from the hustle and bustle which makes it super relaxing. It is a little out of the way, but that is easily remedied by making sure to get the phone number of a taxi driver once you arrive at the port. Make sure to get as much cash as you need at the port as well as there are no ATMs too close to the bungalows. The area was beautiful and the accommodation was equally beautiful! Everyone was so helpful and lovely as well. Perfect little bungalows in such a perfect location...so close to crystal bay. Very helpful and friendly staff! Try the banana pancakes for breakfast they're amazing!!! The host of this property went above and beyond to make sure we felt welcome and were comfortable during our stay. Delicious breakfast. We rented a scooter from her and she was super kind and relaxed when we had to leave it on the other side of the island due to a flat tire. Highly recommend! Putu was the best host ever, she helped us on everything... we loved her small village and friendly family:-) we wish them all the best!! Going there you must be or very confident bike-driver (Penida roads are crazy, very up and down and sometimes totally ofroad, and there two horrible downhill just near Ananta -- we did it once and it was enough), or be ready to get everyday taxi or just stay in the Bay (what also is not bad)). There are no shops or ATMs right near the place but it has really quite and peacefull vibe. Also there is very nice place to eat just near Ananta and soon Putuh also will have her own restaraunt, I'm sure it would be very good) Thank you, Putuh!